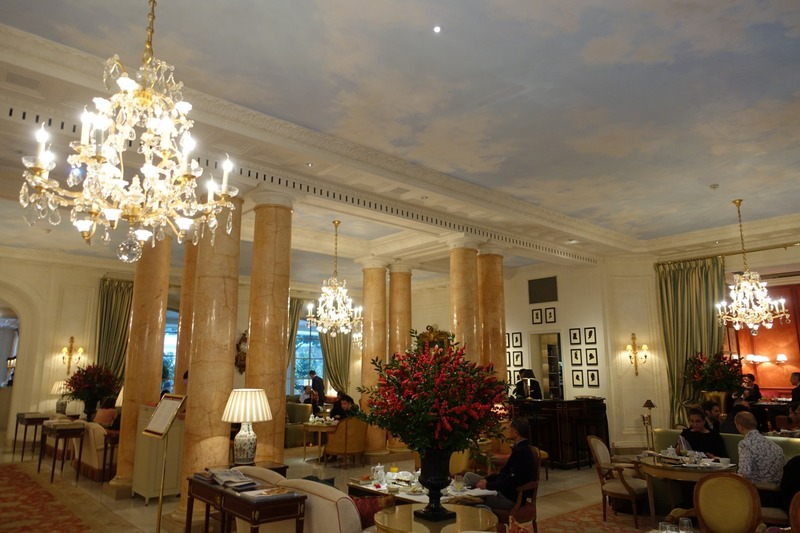 Hotel Le Bristol Paris is one of the elite Paris “Palace” hotels, which includes Four Seasons Hotel George V, The Peninsula Paris, Mandarin Oriental Paris, Le Royal Monceau Raffles Paris, Park Hyatt Paris Vendome, Le Plaza Athenee, Le Meurice, La Reserve Paris and the Shangri-La Paris. 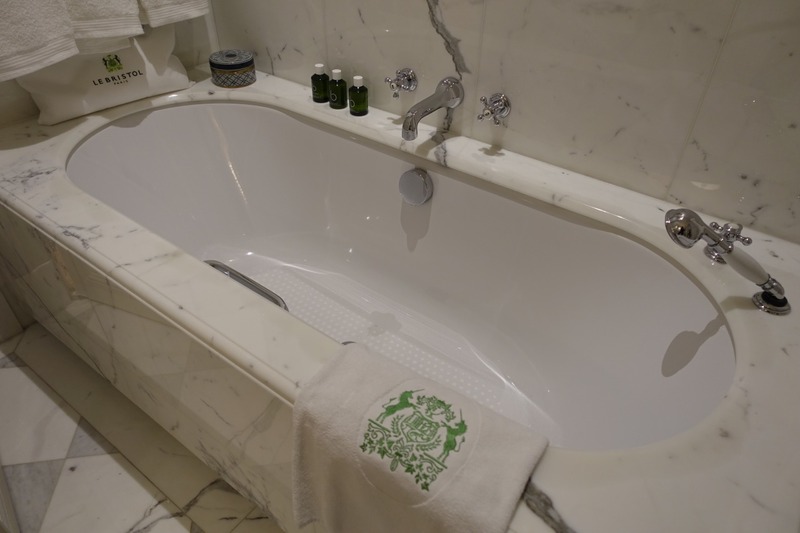 In 1923, Le Bristol was founded by Hippolyte Jammet, who named the hotel in honor of the 4th Earl of Bristol, Frederick Hervey, an 18th century traveler reknowned for the comfort and high standards he required while traveling. 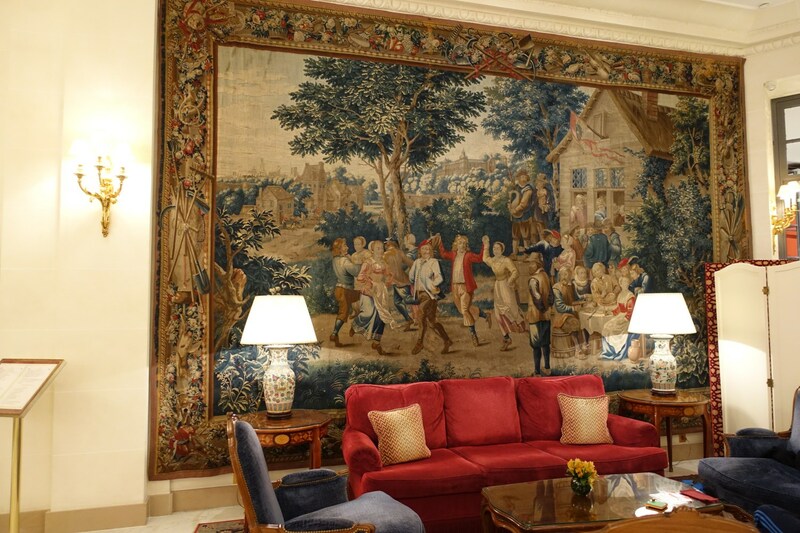 Le Bristol Paris was home to the American Embassy during World War II, and after the war became popular with fashionable clientele, given its location on the Faubourg Saint-Honore, home to Pierre Cardin, Christian Lacroix, Louboutin and other designer boutiques. 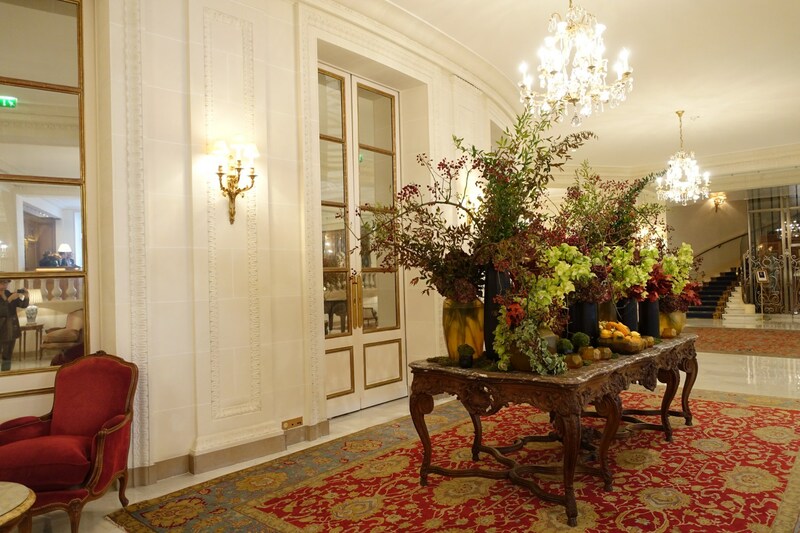 Le Bristol Paris is located at 112 Rue du Faubourg Saint-Honore, close to designer shopping, about a 20 min. walk from the Musee de l'Orangerie, about a 22 min. walk from the Arc de Triomphe, about a 25 min. walk from Musee d'Orsay, and about a 30 min. walk from the Louvre Museum. We were warmly greeted and kindly upgraded to a Junior Suite on the 2nd floor. 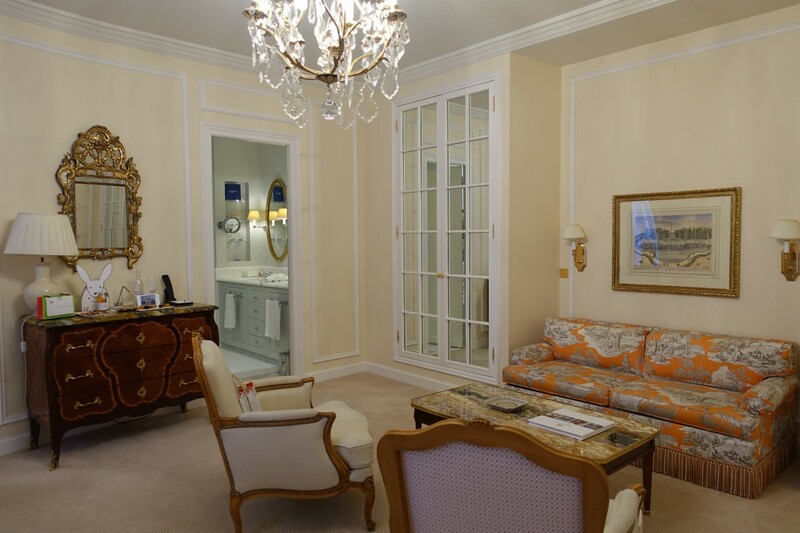 Junior Suites are 592 square feet, with either a view of the Rue du Faubourg Saint-Honore or the quiet internal courtyard. Ours had an internal courtyard view, which was fine with us as it ensured a very quiet suite and a great night's sleep. After the entrance, there was a walk-in closet on the right with ample space to hang clothes for an extended stay in Paris. Then there was another door to the suite itself, with a spacious sitting area. 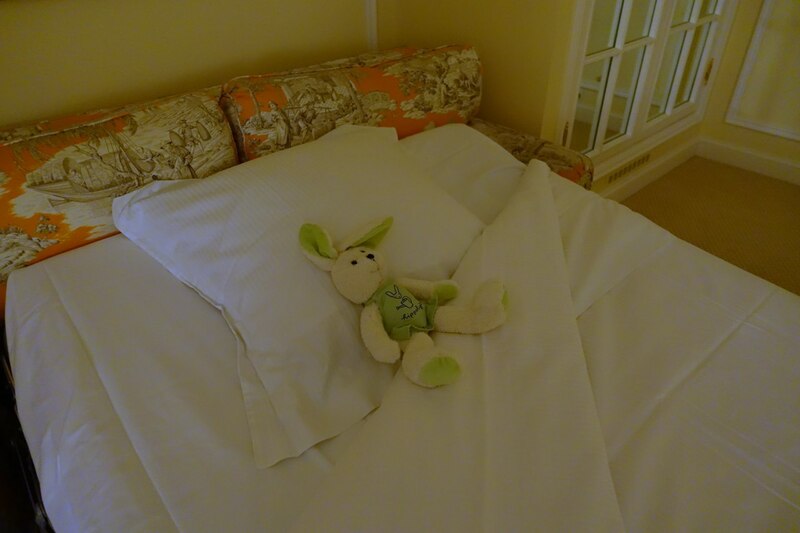 The sofa bed was made into a bed for our son at turndown, with a cute plush version of the hotel's mascot, the rabbit Hippolyte. The bedroom features a king size bed that was a tad on the firm side for us, although as it was our first night in Paris our exhaustion helped us sleep well. 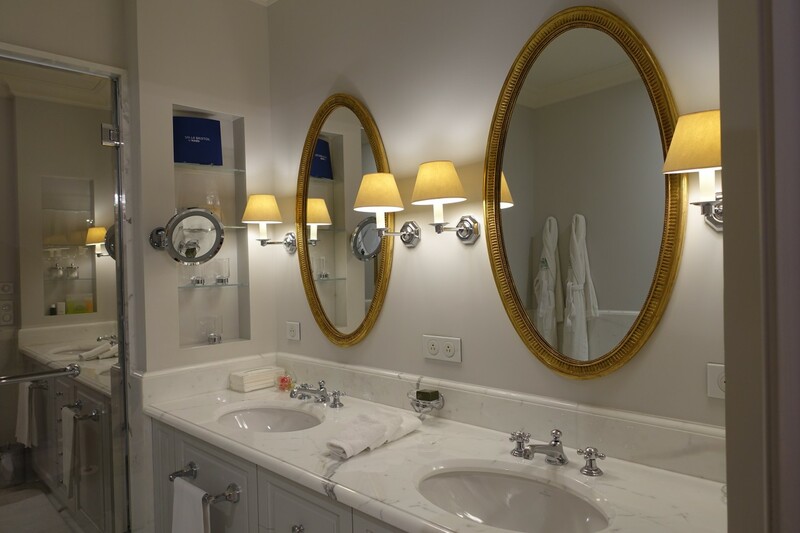 The marble bathroom has double sinks, with a fresh rose an elegant touch. In addition to the rain shower (see the YouTube video) there was a separate soaking tub. 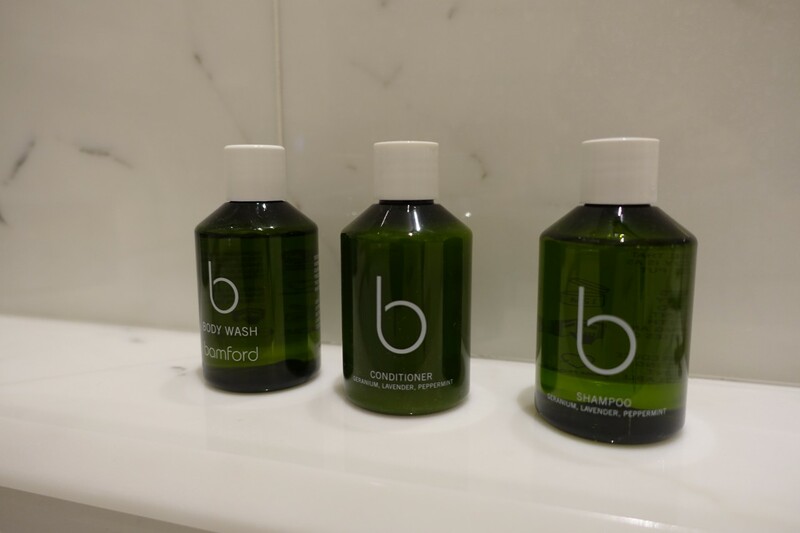 Bath products were worth saving: Bamford botanicals. 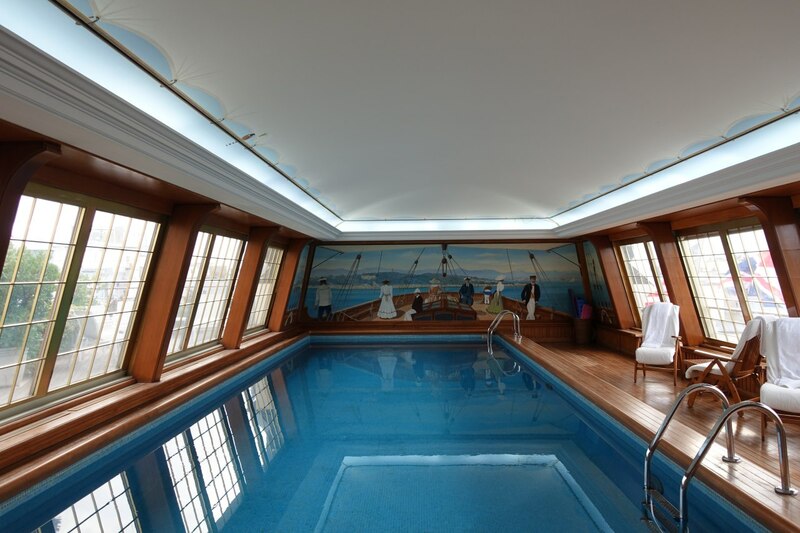 Le Bristol Paris enjoys its own indoor rooftop swimming pool on the 6th floor, with a teak deck and nautical theme. That should come as no surprise, given that Professor Pinnau, the architect of Aristotle Onassis' yacht, also designed Le Bristol's pool. 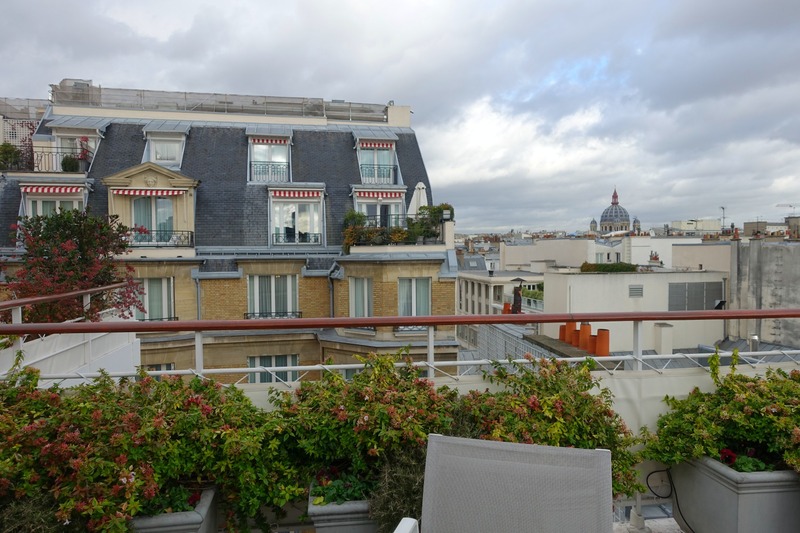 The pool is open daily 6:30am-10:30pm, and you can enjoy a view of Montmartre and the Sacre Coeur from inside and from the outdoor terrace. I initially wondered where the door was to access the terrace–it's a discreetly placed sliding door, on the left. 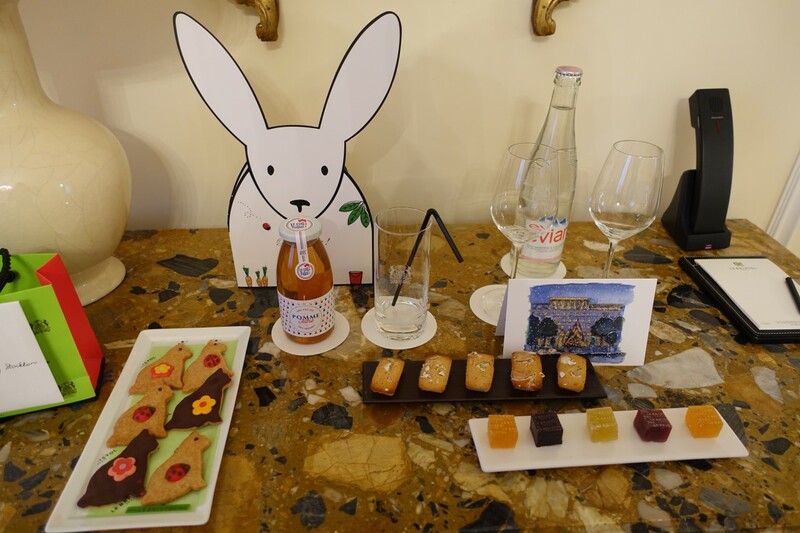 Complimentary breakfast for two is an Oetker Pearl Partner benefit, as is a EUR 170 credit (EUR 85 for 1 night stays) that can be used towards dining at the hotel's 3-Michelin star restaurant Epicure, and the 1-star 114 Faubourg. I'll cover dining in a separate post. 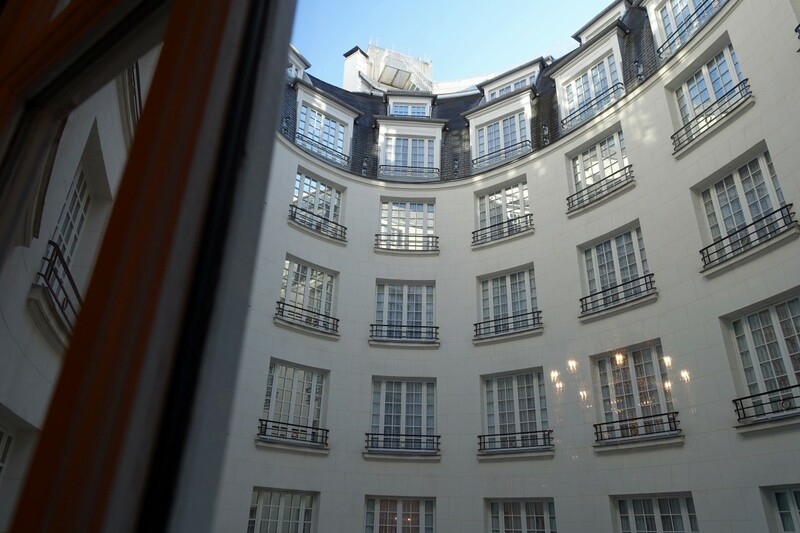 We greatly enjoyed our stay at Le Bristol Paris, from the spacious, well appointed and quiet Junior Suite and delicious welcome amenities, to the indoor pool with its view of the Sacre Coeur. 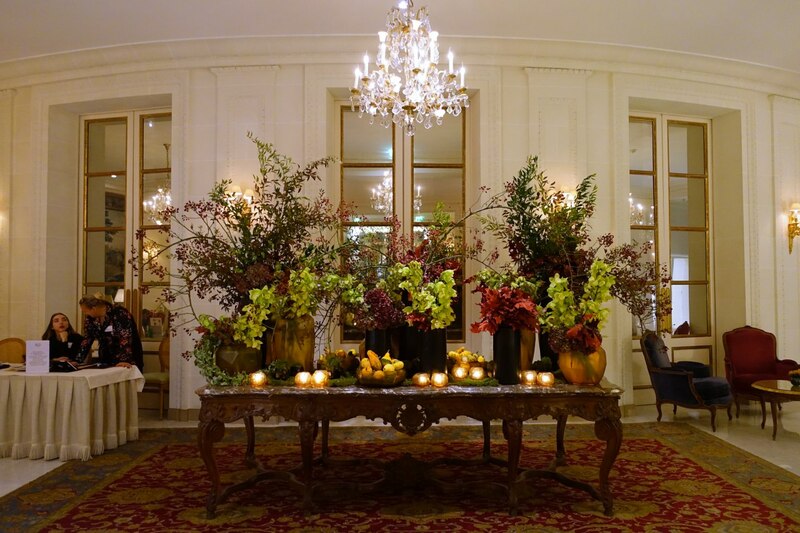 I'd love to return in late spring or summer, when the hotel's garden is at its best, as it's rare to have a garden oasis at a luxury hotel in the heart of Paris. 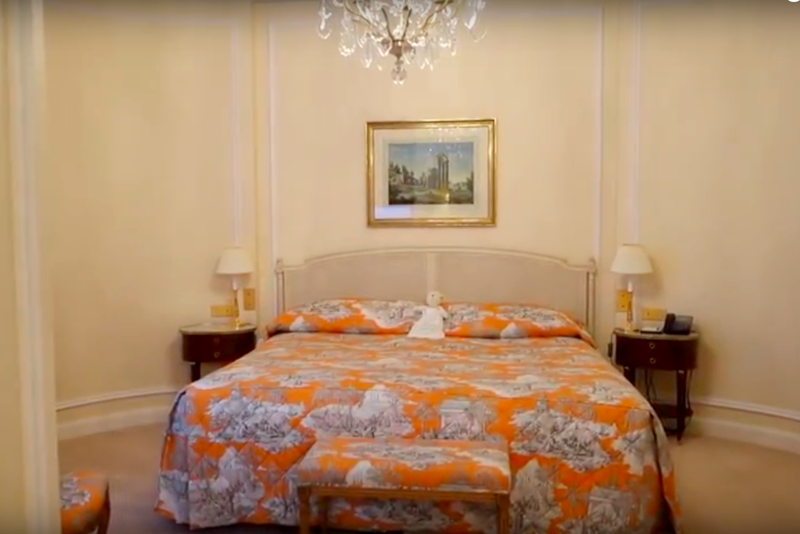 Le Bristol Paris is an excellent choice as well for guests who want to confirm an upgrade at time of booking, since this is an Oetker Pearl Partner benefit, along with complimentary daily breakfast and a hotel credit of EUR 170 per stay for stays of 2 or more nights.